This client has been struggling for some time about how to replace their old driveway. The old driveway was worn and cracked and dragged down the entire façade of the house. 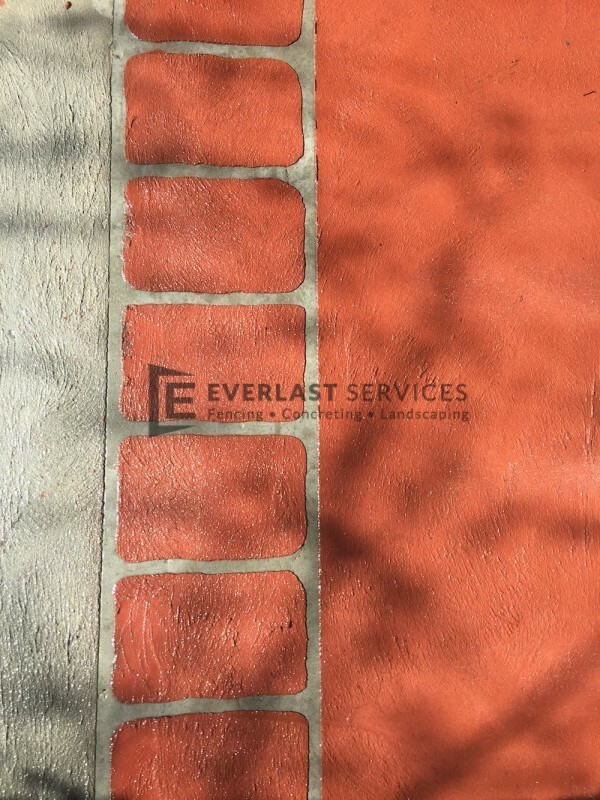 They shopped around and were thrilled when Everlast Services (formerly knows as Everlast Fencing) came up with the idea of a coloured, brick stencil concrete edge surrounding plain concrete. 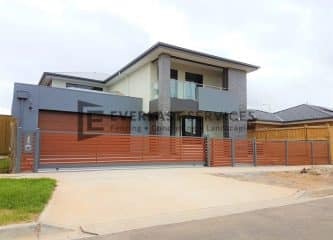 The client was conscious of budget, but still wanted a solution that would be an attractive entry point to their home. Slate was too expensive and difficult to maintain, and exposed aggregate didn’t suit the surrounds. 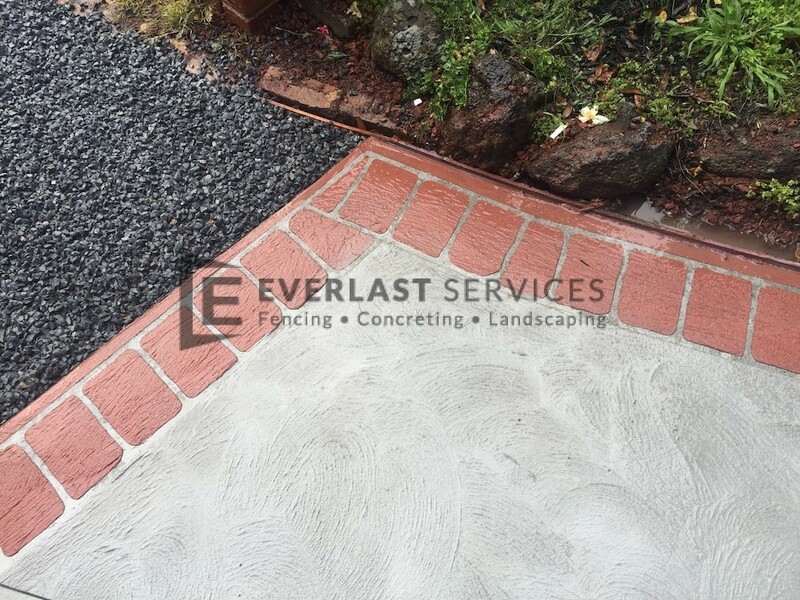 Our expert team suggested a plain concrete option that would be lifted by a coloured, brick stencil border. This option ticked all the boxes – it was cost effective, easy to maintain and would add some drama to the entry point. The project involved digging up the old driveway and preparing the surface for the pour. Our attention to detail during the preparation stage gives us confidence in our finished product; we know that our product will last. 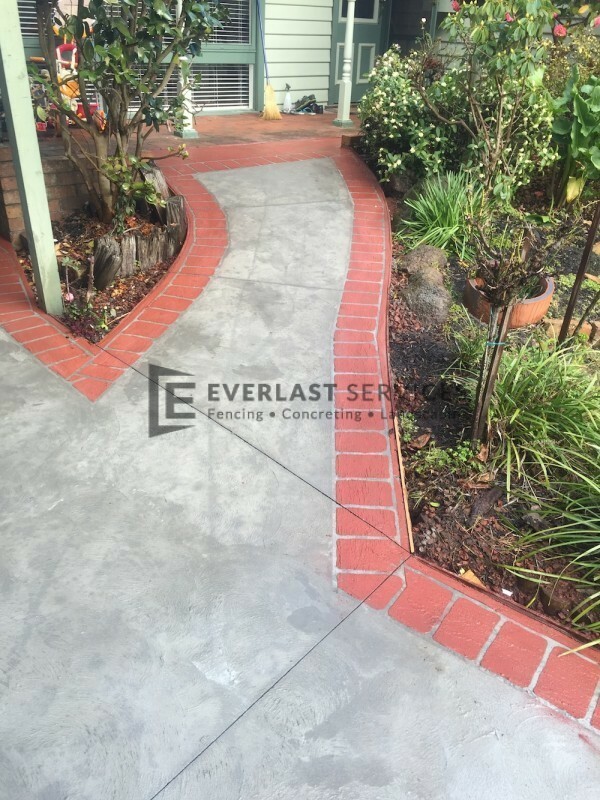 Our expert concreters poured the plain concrete before turning the attention the border. The pictures show how perfectly this section was executed, the colour is perfectly contained within the lines and the spacing is spot on. 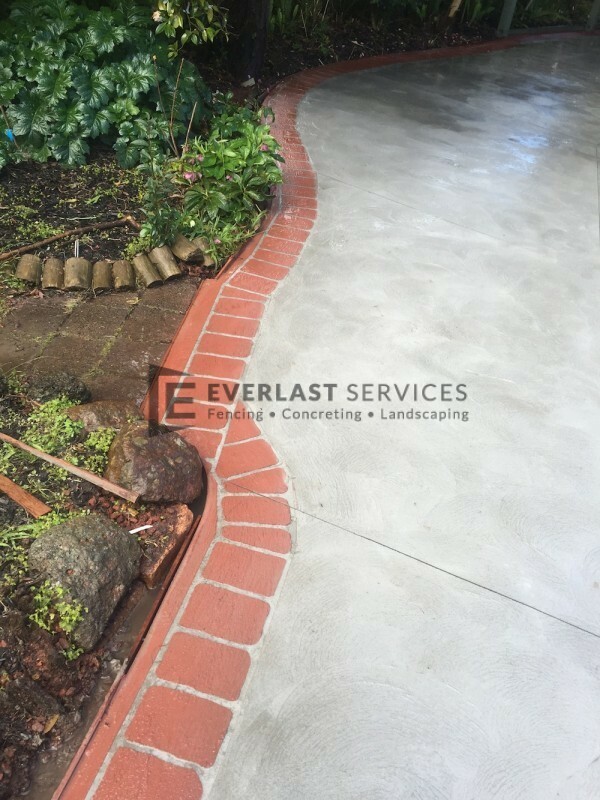 Our concreters love their job and quality like this is only possible if you employ passionate people. The finished product astonished our client; they couldn’t believe we could deliver this sort of solution in such a short amount of time and still maintain a high level of quality. The new driveway has tidied the whole front of the house and the colour combination of the driveway gives the green of the garden something to bounce off. The best part is, with a hose down every now and then this driveway will stay looking brand new and the concrete will remain in tact and crack free for decades. The entire project was delivered as quoted and we left the job satisfied with our work. 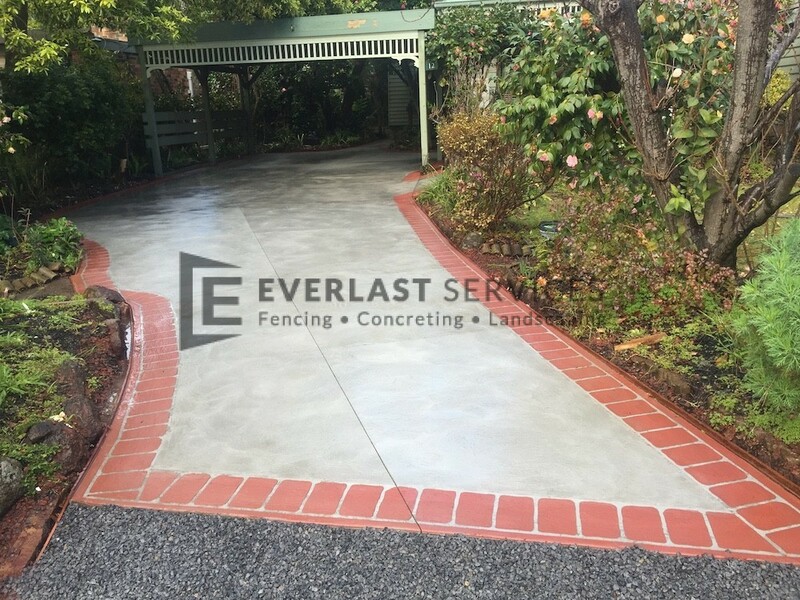 There is nothing better than driving away from a smiling customer and this Vermont concreting job gave us that. 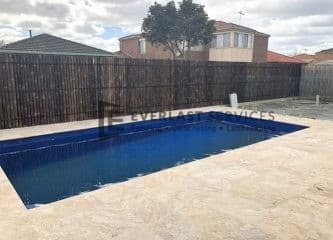 A big congratulations to the team on the completion of another, Everlast standard job.